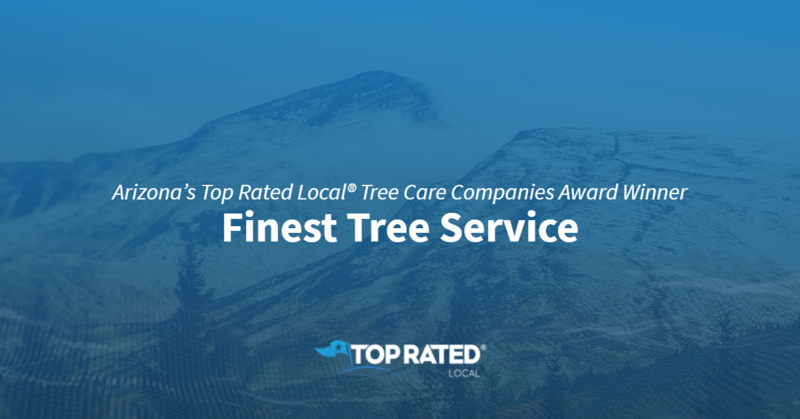 Top Rated Local® is pleased to announce that, thanks to their incredible Rating Score™, Finest Tree Service is a 2018 award winner for tree care companies in Arizona. If you’re in the market for tree pruning, stump removal or any other tree care service in Tucson, Finest Tree Service is the company to choose. With a dedication to finding the right tree care solutions for its clients, Finest Tree Service has earned more than 100 positive online reviews with an average rating score of five stars, a wonderful 98.00 Rating Score and a 2018 Top Rated Local award for being among the top 10 tree care companies in all of Arizona. With an outstanding reputation that speaks for itself, Finest Tree Service is not like other tree care companies in Arizona. They are fully insured — including for liability — and the team will always give references to prospective customers when asked. Bryan credits Finest Tree Service’s impeccable online reputation to the team’s hard work and dedication to never cutting corners. At Finest Tree Service, the employees are always trained properly, and the team stays in communication with customers, cleans up after the job has been complete, calls each customer to follow-up and does a walk-thru to ensure that the customer is happy. In addition to the growth that comes from having a strong online reputation, Bryan has grown Finest Tree Service through their website, Google ads and organic rankings. Congratulations to the team at Finest Tree Service for being a 2018 Top Rated Local award winner, and thank you so much, Bryan, for taking the time to speak with us! 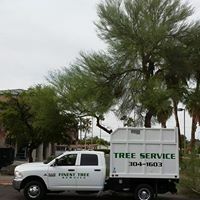 Finest Tree Service does everything it can to ensure that its clients are taken care of like family, and we highly recommend them to anyone looking for expert tree care in Tucson!